How to join the fixer movement. How many times have you said or heard this “To repair this would cost more than a new one”? This is part of the problem with buying and owning a lot of cheap stuff. If the toaster or coffee maker breaks, we just run over to the big box store and buy another one. I’ve been guilty of this myself, using it as an excuse or opportunity to upgrade an appliance or other busted item rather than get it fixed. It seems like we’ve lost the “quality versus quantity” mindset. We’re buying multiple versions of the same poorly made small appliance or computer over a ten-year period rather than buying quality products and taking care of them like they’re going to last a decade or more. Many items, especially clothing and consumer electronics, come with built-in obsolescence. It amazes me that some smart phones, which have more computing power than laptops of just a few years back, last only a year or two. People start to feel that they are inferior to the latest versions or repairing them is just not a cost-effective option. If you actually have the skills to repair electronics or small appliances, it’s hard to find the time. This is starting to change. A recent article in Wired magazine talks about the fixer movement — small meetups of folks who get together and fix stuff. In Brooklyn, they promote their group on Craigslist and people can stop by with a small appliance or computer and have it repaired for as little as $20. 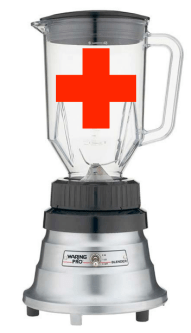 People are generally surprised how much extra life can be squeezed out of a old laptop, blender or vacuum with a little TLC. With the advent of affordable three-dimensional printing, some previously unavailable parts will be able to be quickly re-created and installed in a variety of devices. In many cases, repaired or reconditioned items are better than the latest version. A whole industry has sprung up around reconditioning used iPhones, iPads, and laptops and reselling them online. Retailers are getting into the act as well. The Apple Store will now replace broken glass (in store) and batteries on iPhones and iPads via it’s battery replacement/exchange program. On a trip to Fargo North Dakota last spring, I had the opportunity to meet a couple of minimalists. These guys are masters of the minimalist craft. However, even minimalists need things like a jacket or a mobile phone. Being a minimalist requires that you approach each purchase with a long-term view. After all, if you’re only going to own one pair of pants or shoes, you’re not going to purchase something that will fall apart in a year or so. 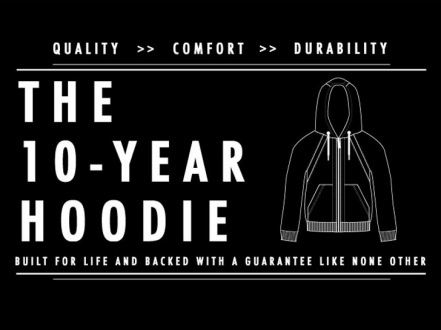 In Fargo, I learned about the 10 year hoodie. The clothing company Flint and Tinder started with the simple idea that a quality piece of clothing should be guaranteed for 10 years and come with free mending. They can make the guarantee because the hoodie is so well made that it will be worth repairing and they will do it at no charge. We need more products with less planned obsolescence and more rock solid ten year guarantees. I’m not talking about the BS “materials and workmanship less parts and labor plus shipping” guarantees that most products have today. I’m talking about “we will fix it guaranteed 10 year” guarantee. And you certainly should not need to purchase a warranty or extended service plan. Here’s how to join the fixer movement even if you are not a fixer, and products with 10 year guarantees are not available at your local big-box store..
Look for rock solid products without a lot of bells and whistles. So, if you’re looking for a new dryer, vacuum cleaner, or blender simpler is better. Avoid lots of add-on features like digital displays, especially on large appliances. Spend your money on quality versus bling and add ons. A simple quality product is easier to repair than a plastic piece of junk with every feature going. Search for quality. Amazon says their greatest point of difference is the quality of their customer reviews. Many are over the top, but scanning them will give you a good feel for user experiences with many products. Shop with a retailer that will repair or replace a product even if a manufacturer won’t. I’ve had this experience with REI. Look for manufacturers that repair and refurbish their own products and have a established repair network. Practice “migration” — head of household, parent, older sibling gets a new computer and their old one is wiped clean, repaired/upgraded and passed down. Search for a local fix it shop with great reviews on Angie’s List or Yelp. If you’re adventurous, search meetup fixit groups or Craigslist small appliance reconditioning. As always the goal here is less stuff. The less stuff you own, less time you’ll need to spend fixing it, replacing it, moving it around. For the stuff you do own and use everyday, make sure your experience with it is as simple, long lasting and as pain free as possible. A) I want that 10 year hoodie. B) We need a bigger garage or storage room so you can tinker with things and fix them C) I enjoy replacing cheap broken items at the nearest Big Box store. Thanks for referring to the Wired Opinion piece. We wanted to clarify a few points mentioned above. We probably should do so, but we actually have yet to advertise (directly from us at least) on CL. We have a mailing list, a WordPress site (which is essentially another mailing list), and our Facebook page (just search for Fixers Collective to find us). We also have been telling people all fixes are free, and if people really really really really like what we’ve done, a $5 dollar would be awesomesauce! This is pretty much the case whether we have our regular Fixing Sessions at the Proteus Gowanus gallery or whether we have another session somewhere else. There will be a Pop-Up Repair shop happening in the area, though, and perhaps they’ve advertised through CL. We love the work they’re doing, too, and have a different pricing model and structure. Look for them, also, on Facebook. We love seeing Point #6. We even coined a term for “migration” ourselves – “optimal utility”. That old laptop mentioned before won’t be as useful to the original owner as it was before, but handed-down to someone else, it could provide a wealth of goodwill as opposed to getting it shredded and chopped up for scrap (and precious) metal scavenging. Thank you for reading this comment!